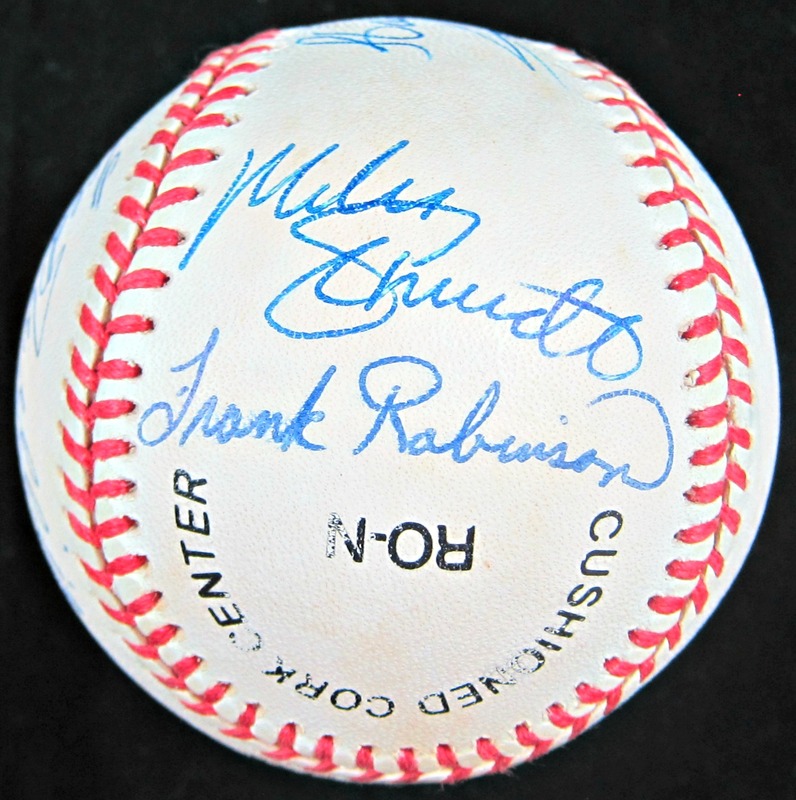 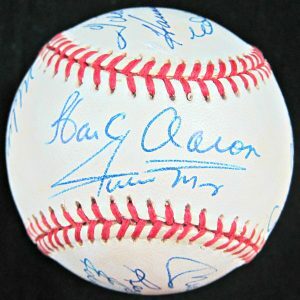 Presented here is an Official National League Rawlings autographed baseball signed by 12 members of the 500 Home Run Club, one of most exclusive statistical groups in baseball. The men who have signed this ball represent some of the most dangerous power hitters of all-time. 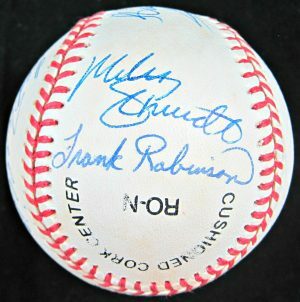 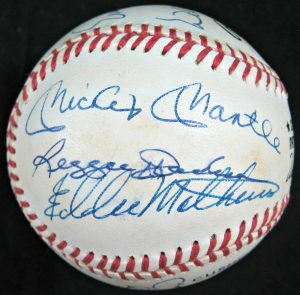 Each man who signed this ball is a Hall of Famer, honored for their dominance in the game’s most thrilling facet of play. 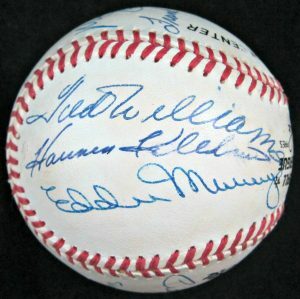 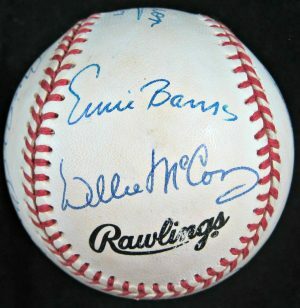 Signatures on this ball include: Mickey Mantle, Reggie Jackson, Eddie Mathews, Ted Williams, Harmon Killebrew, Eddie Murray, Hank Aaron, Willie Mays, Mike Schmidt, Frank Robinson, Ernie Banks, and Willie McCovey. 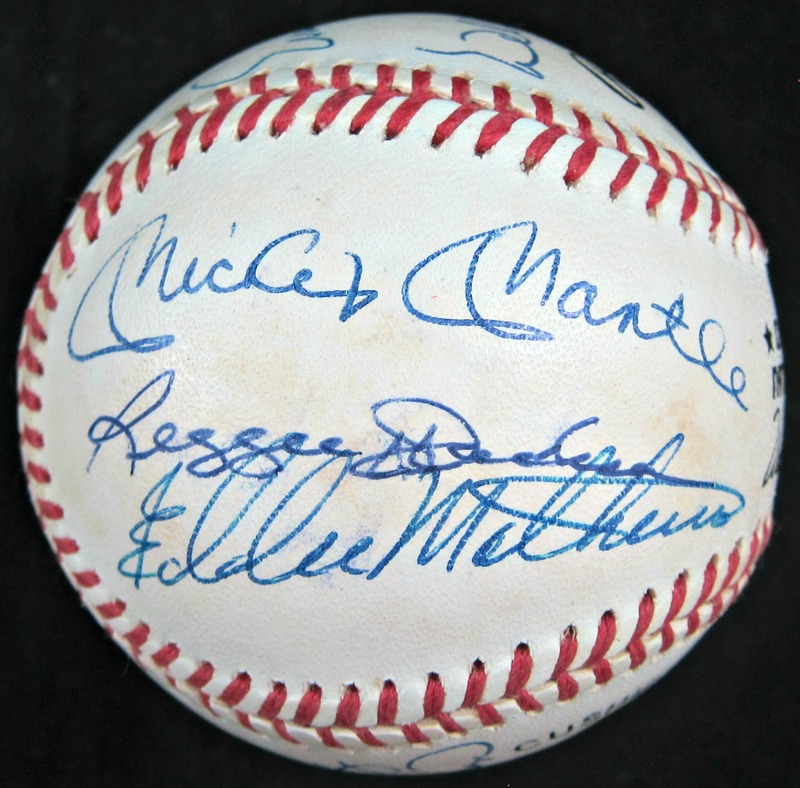 The autographs are authenticated by the Joe DiMaggio Estate.